500g cake of pure yellow beeswax. (Both 30g and 500g bars/cakes photographed). 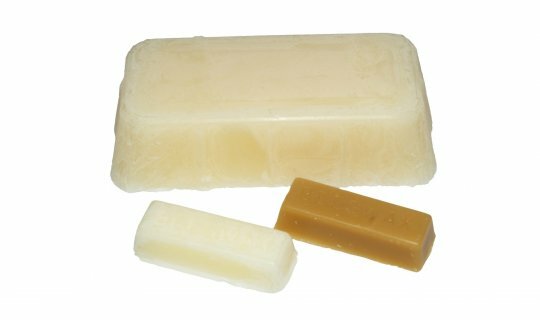 30g stick of pure white beeswax. 30g stick of pure yellow beeswax. 500g cake of pure white beeswax.